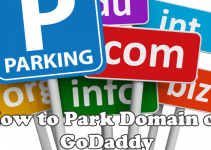 Domain forwarding is a service offered by domain registrars such as GoDaddy to redirect a website to another domain. Commonly referred to as Domain Forwarding, the feature automatically forwards a domain to another site without any intervention from the users. Why and When Should I Avail of Domain Forwarding? 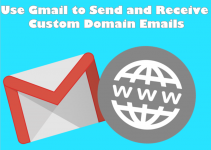 There can be a variety of reasons why one wants to redirect their domain name, but the most common one is to ensure that maximization of all traffic intended for an individual site or business. For example, you want to own a domain name that has the keywords “YUMMY” and “PIZZA”. You checked if WWW.YUMMYPIZZA.COM is available. Unfortunately, the domain name lowermost. 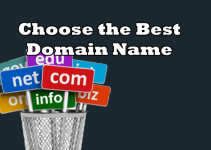 You chose another name, and after checking out our article on how to choose the best domain name for your business, you decided that you would settle for WWW.VERYYUMMYPIZZA.COM. Your business went smoothly. You were enjoying great traffic from your website. 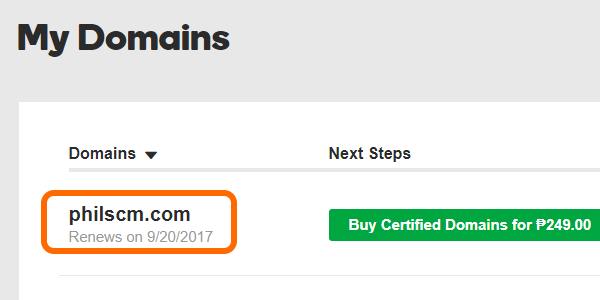 After a year, the domain owner of WWW.YUMMYPIZZA.COM contacted you and offered to sell you the domain for a small price. Since the domain name is your first choice, you bought the domain. Now you own two domain names – WWW.VERYYUMMYPIZZA.COM and WWW.YUMMYPIZZA.COM. The first one was enjoying good traffic, but in the long run, you know that the latter would reap you greater benefits. Should you throw all the current traffic away from the first site and wait for the second site’s traffic to grow? Or should you just maintain both sites? However, you also know that you do not have the resources to maintain two websites. What should you choose? We say, choose both! Domain forwarding will redirect users so that when they enter the site WWW.VERYYUMMYPIZZA.COM, they will automatically get redirected to WWW.YUMMYPIZZA.COM. All the contents on the first domain will not be displayed. Only contents of the second domain will show. This way, you will only update the new domain without losing any traffic generated from the first one. 2. Click on your name in the upper-right part of the screen to open up the Control Panel. 3. From the Control Panel, click the Manage Domains option. 4. The next page will show the list of domains under your account. 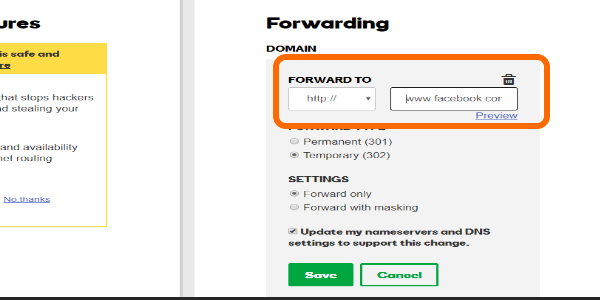 Click on the domain name you want to set the forwarding feature. 5. The selected domain name’s settings will be displayed. 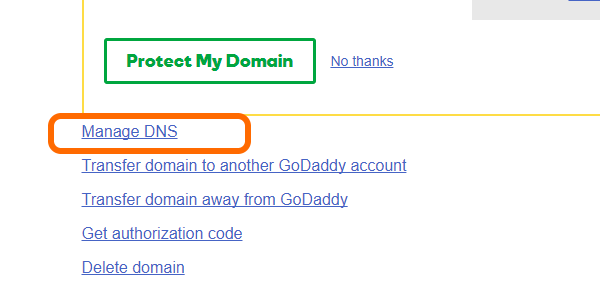 Scroll down and click on the Manage DNS option located on the lowermost portion of the page. 6. You are now on the DNS Manage page. 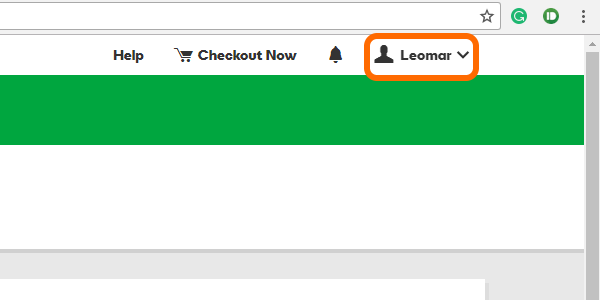 Scroll down to the lower-most part of the page and click the ADD option beside the word DOMAIN under the FORWARDING tab. 7. Put in the website you want where you want to redirect the domain. For this example, we will put a Facebook page link. 8. 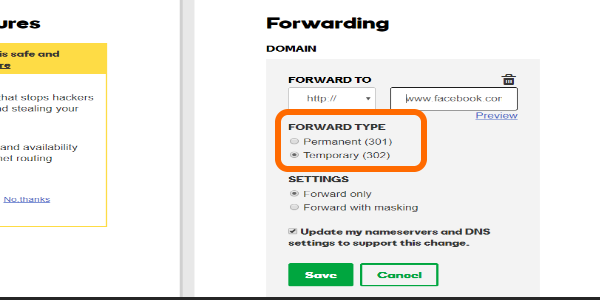 Choose the forwarding type – Permanent OR Temporary. 9. 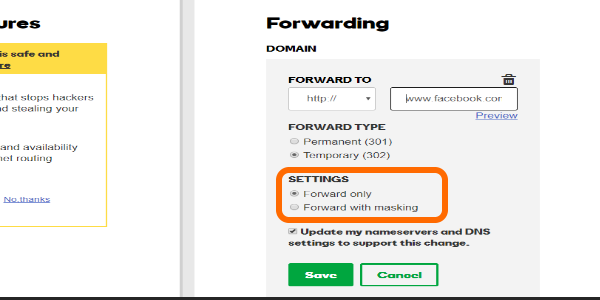 Select forwarding settings – Forward only OR Forward with masking. 10. 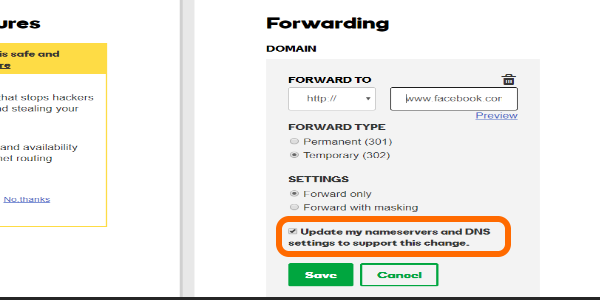 Click the option to update the nameservers and DNS settings to support the change. 11. Click Save. You are done. 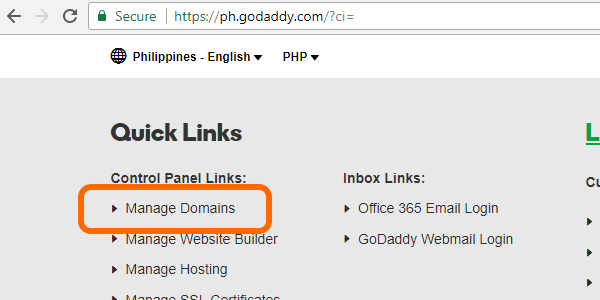 Take note: GoDaddy will review your request, and if there are no conflicts, then the forwarding feature will be activated within 48 hours. 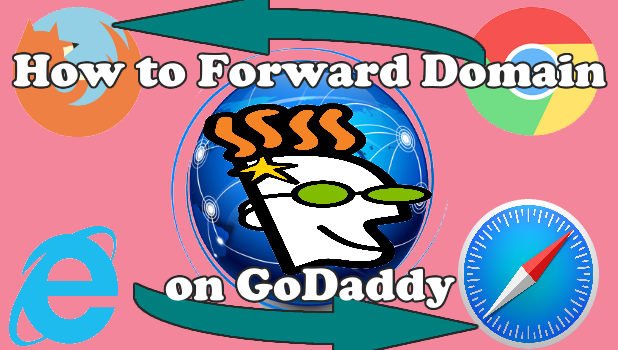 You just learned how to redirect a domain to another site using the Domain Forwarding feature on GoDaddy. If you have issues and concerns with any of the steps above, let us know in the comments section.